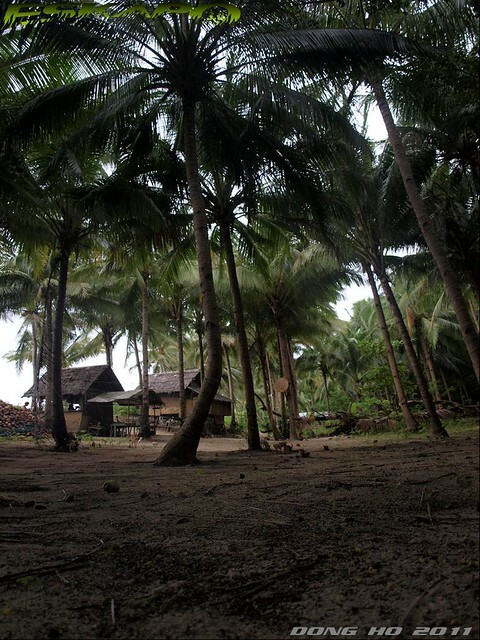 if there was a place that i would like to build a hut and stay for a month, it would be in this piece of beach called Seven Commandos. i would guess that Alex Garland, author of "The Beach", spent some time on this beach. often mistaken to be one of the 45 islands of Bacuit Bay but this beach is actually part of the greater Palawan island coast. 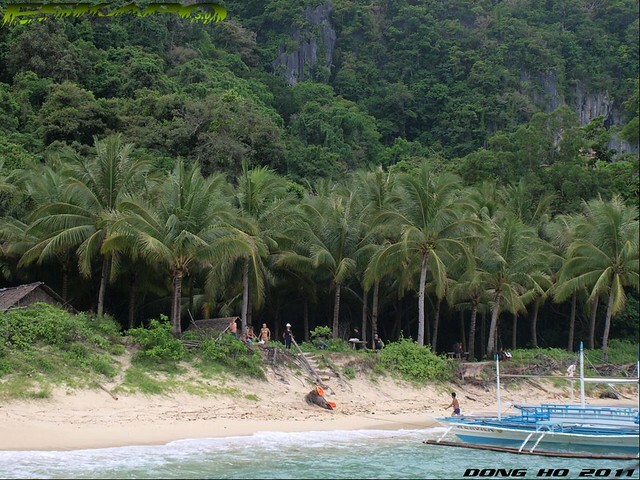 got its name from the seven soldiers who stayed in this part of El Nido as shared by the locals. 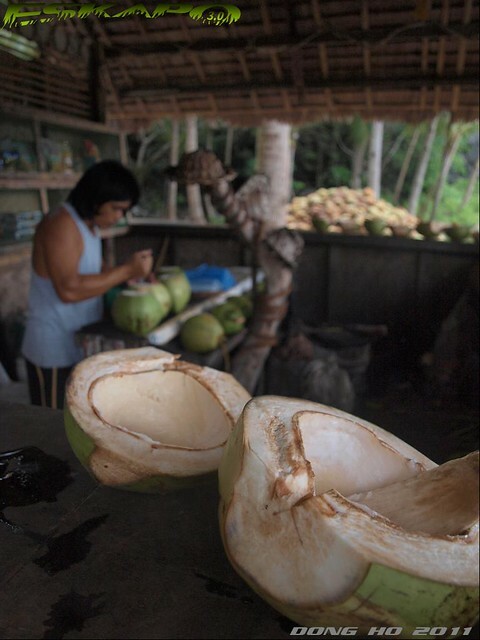 unlike all the other stops in the El Nido package tour A, this is the only part that offered fresh coconut juice. irresistible fresh coconut juice. while waiting, i noticed a number of little dogs. when i started taking photos of these dogs, they started playing around my camera. the most interesting aspect of Seven Commandos beach are these little low flying birds on the inner portions of the beach. you can sit down in the middle of those shaded spots and watch these birds fly over you with some going fast as if to hit you. you need not to go far to experience wild. when you observe closely, there are still monkeys jumping over trees. beyond the shade are impressive rock formations to hidden cave entrance. among all the stops that we made in this tour, this part gave us the best experience of what it meant to be so close to nature. my kind of spot. 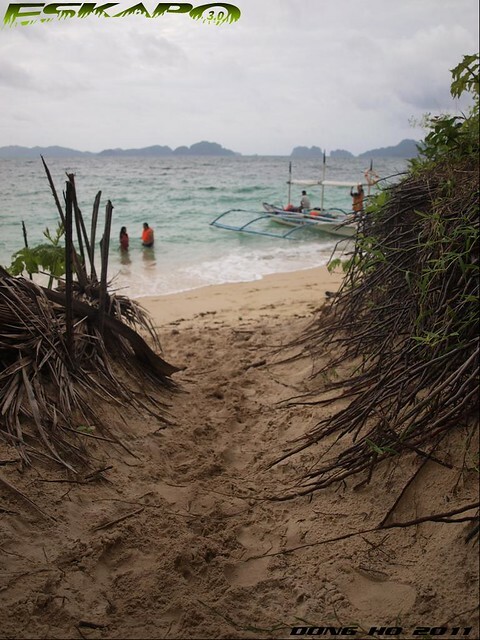 Seven Commandos Beach is part of El Nido standard Island Hopping package tour A which also includes a visit to Small Lagoon Miniloc island, Big Lagoon island, Hidden Beach, Shimizu and Pangalusian island. Tour A package cost: P700/head. option 1: Domestic airlines fly daily from Manila to Puerto Princesa (1-hour flight) option 2: Direct flight from Manila to El Nido via Seair (as of this post, direct flights are not available). option 1: take a tricycle for a short ride to your hotel or to the main beach area if you did not reserve for a hotel. 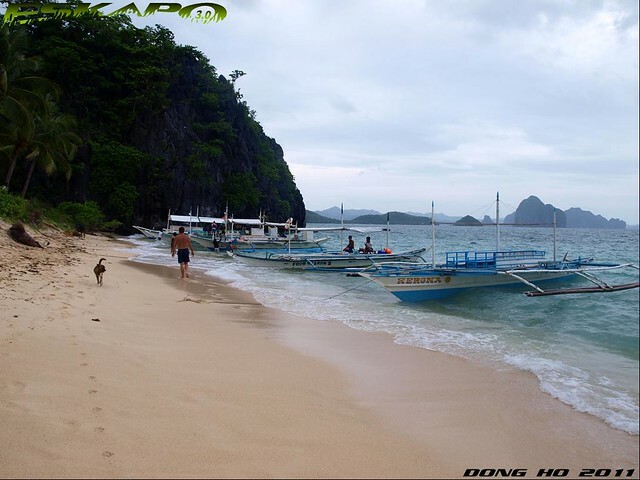 several travel agency along the main streets of El Nido offers standardized tour packages which includes island hopping and lunch. Those pups stole my heart! grabe.. ang ganda ng place. 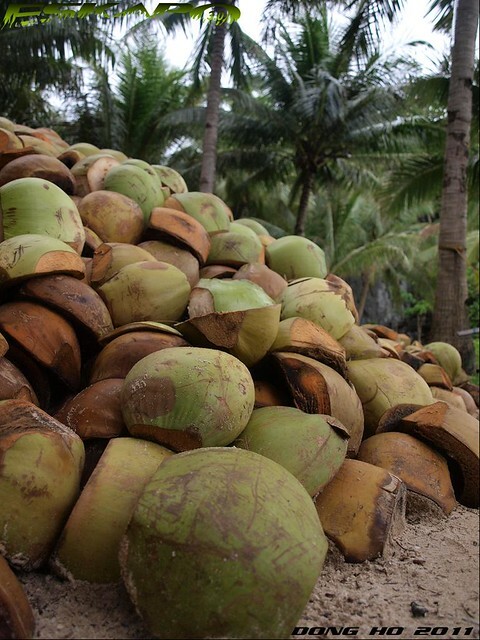 Fresh Coconut ftw! Igogoogle ko nalang f magkanu ang magagastos ko for a trip here. Um, have you already heard the no to mining palawan campaign? have ou signed up already? Ganda ng mga kuha sa puppies. Hindi ko ata napuntahan tong part na to ng 7 Commandoes. i like the pictures of the cocounuts! and the puppies--too cute for words! wow, ang ganda ng pagkakakuha mo dun sa mga tuta at mga bebe dom! saglit, bebe ba ang tagalog ng duck? im not sure eh. >hi Jam, yes they were. 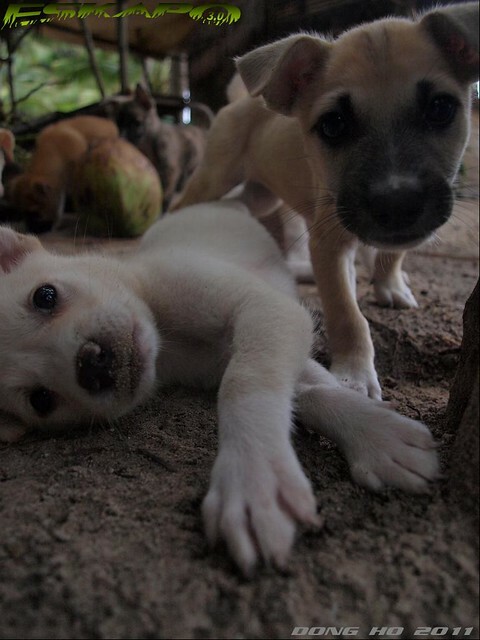 when i friend of mine returned to El Nido just a month ago, i asked to check how the puppies were. sad thing is they were already distributed to nearby village. >Ghienoxs, wow! enjoy and ill be checking out your post on it. >Hi Tina, for sure youll make it there next year. it was fun seeing those puppies. >Stevevhan, yes i heard about it but didnt had the chance to look for the site. i will then check it out. for the costing you can send me an email. >Borneo, place is indeed beautiful. >Raft3r, dami nila nung time na nandun ako. >PhotoCache, i wish. too bad i dont have the time to take care of dogs and i think it would be a hassle bringing them to manila. >killrfillr, sa likod lang to ng kubo ng nagbebenta ng buko. kaya lang baka wala pa sila nung time na pumunta ka. >Doc Gelo, hahaha... malamang may mga insekto nga. dami nung puppies. maybe there were around 11 and dalawa atang nanay ang nanganak ng halos sabay. >Asiong, kakatuwa lang din talaga ang mga tuta. yung mga pato sayang kasi nung nakita nila ako tumalikod. mas ok sana yung kuha. bibi tama duck nga din. >hi Gay, i would like to know too. ill try to find out. 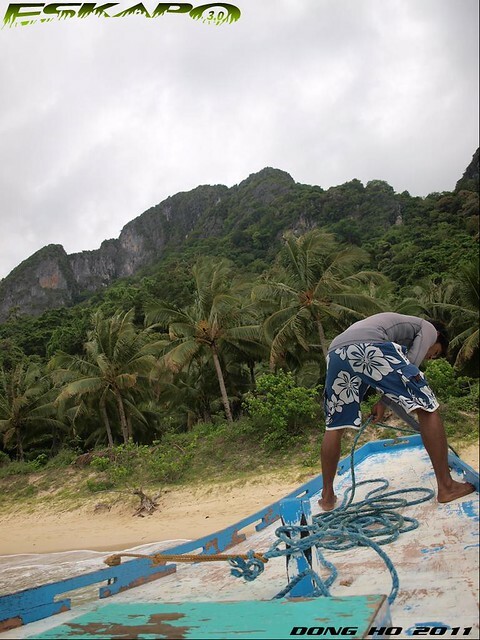 I've been to El Nido twice and the 2nd time I was there for a week but I haven't really checked out all the islands under the package tour especially Seven Commandos. I would love do sea kayaking next time and explore the islands at my own steam. looks simple. but i'm sure looks could be deceiving. 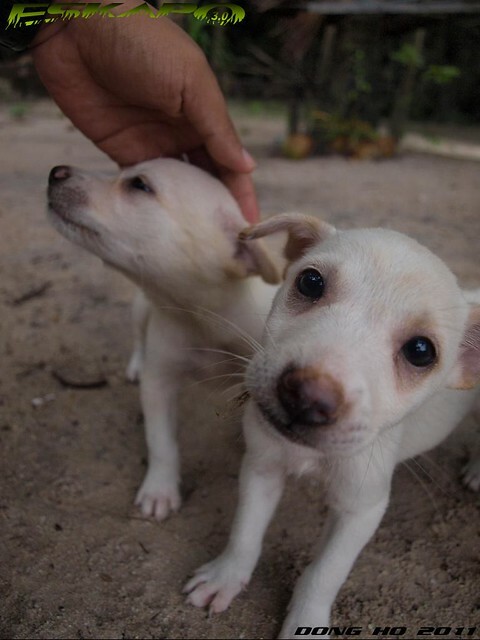 awwwww, the puppies are so cuteee..
haven't been to El Nido yet but my sister and I are planning to go there this December. 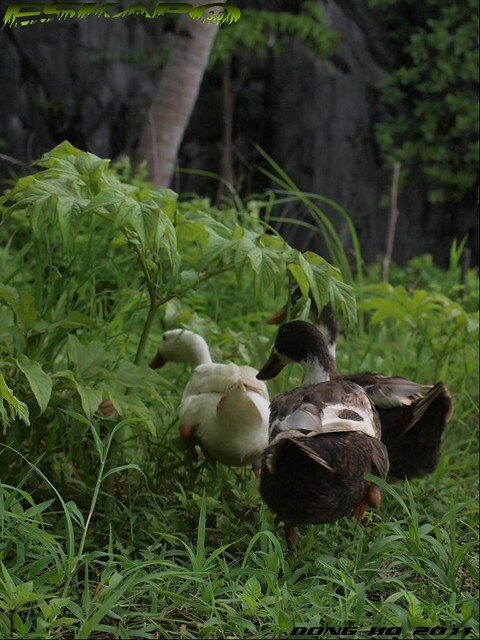 I'm gonna make sure this island will be included on our trip..
those ducks remind me of what I call the real farmville --- hehe I call my lolo's residence in Mindoro as the real farmville. You were asking about the beach that inspired Alex Garland for his novel "The Beach". Just posted an entry about it. It's part of Tour C.
Really a nice post! So lovely the puppies, very attractive the landscapes. akala ko seven commandos is a beach on one of the islands of singapore. hehehe. di pala. parang ang sarap mag survival skills training dito eh oh. From what I've heard, Alex Garland was inspired by the Secret Beach in Matinloc island which involved entering through a keyhole cave. 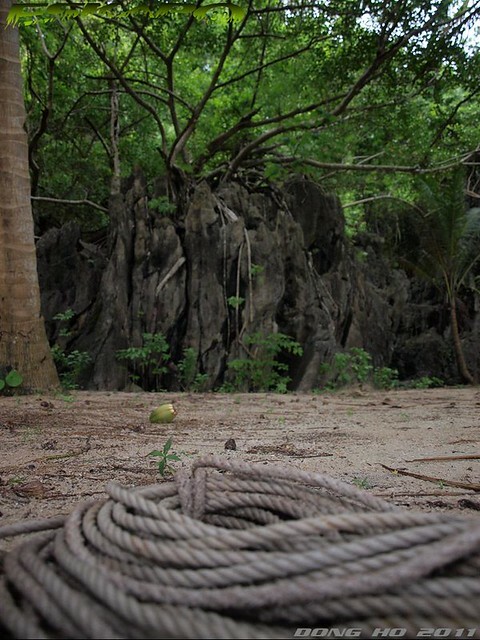 Too bad (or maybe good for Pinoys), the lack of infrastructure in the island couldn't handle film making so the movie was shot in Thailand instead. another meaningful shots I always wanted to do. I am not well-traveled but given the chance, this is my kind of work. I actually want to highlight the unseen and the unknown aside from the main attraction. Thanks because I am seeing myself in you after a year at sana kahit kalingkingan lang no. naks hehheheeh.. It's a lovely place. The puppies are adorable!